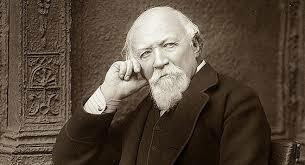 If not the best, Robert Browning is considered one of the finest poets of his era. He was a master of representation and has given a new and more reasonable voice to a number of characters from literature and history. During the last years of his life, Browning’s pen was not composing many verses. Instead, after some failed attempts at drama, Browning turned to translate some of the best Greek tragedies in this time. 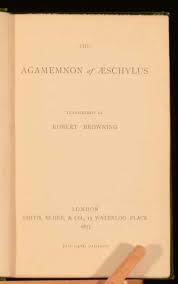 Apart from a few poems, that are highly celebrated in literary cycles for their grotesque nature, Browning transcribed and translated some of the most popular Greek classics during this time, The Agamemnon of Aeschylus is one of them. Agamemnon is the tragic story of the Greek ruler and fighter Agamemnon. In the original play by Aeschylus, Agamemnon is the King of Argos and is returning to his kingdom after fighting in the Trojan war for ten years. His wife, Clytemnestra, was left behind by him when he left for the war. She blames her husband for the murder of their daughter Iphigenia, whom he sacrificed to the gods to win the war. During his absence, Clytemnestra also involves herself in a relationship with Aegisthus who is Agamemnon’s cousin. In order to take revenge for the death of her daughter and to hide about his adultery, Clytemnestra has plotted to kill Agamemnon when he returns from the war. She is assisted in this mission by her lover Aegisthus, who wants to revenge the death of his family from Agamemnon because his father had killed his entire family for the throne. The lovers have planned to kill Agamemnon and give the throne back to Aegisthus, who considers himself to be the rightful heir. As Agamemnon reaches the palace, Clytemnestra professes her love and welcomes him to the palace. He is accompanied by Cassandra, the princess of Troy. Agamemnon goes inside and Clytemnestra asks Cassandra to go inside as well. She resists and when Clytemnestra leaves, prophesizes about the death of Agamemnon and herself to the chorus in the palace. She finally accepts her fate and enters the palace. Soon, Agamemnon’s cries are heard from the inside of the palace. The door opens and Clytemnestra is standing with the bodies of Agamemnon and Cassandra. Aegisthus enters to claim the throne but the Chorus predicts that the son of Agamemnon will come and revenge the murder of his father. When Browning translated Agamemnon, he gave it the title Agamemnon of Aeschylus and called it a transcription. In order to justify the title, he attempted to preserve the poetic nature of the Greek classic and made a literal translation of the play. When Browning published it in 1877, he was already a much-celebrated poet in the English literary scene. However, this translation had to face the criticism of a number of contemporaries of Browning. Most of the critics called it vague and impossible to understand. The notion is held even today and even though Browning’s transcription of Agamemnon is considered a classic for the stature of Browning as a poet, it is not considered as one of his good works. The first problem with his translation is that he has made a literal translation of the classical tragedy in every context. In such an attempt, the syntax of the writing of Aeschylus is lost, making it less of a poetic read and more of dry prose. The Agamemnon of Aeschylus is a great work with a number of alliterations and allusions hidden in almost every phrase. His play is not only a story of a wife murdering her husband. When Browning transcribes the play in English from Greek, he lost a sense of the deeper meaning in the text. Indeed, he has tried to make his characters say the same things that those of Aeschylus. But Browning did it at a much greater expense. His translation lost all rhythm and meaning and confined itself to mere pages filled with phrases and words dragging from the mouths of the various characters. When the first version of the translation was published in 1877, Thomas Carlyle commented that it is unreadable, even though he is honored that Browning has dedicated it to him. Many other critics including Swinburne, Ezra Pound, and Richard Shroyer have rendered it a poor translation and have said that it places the reader in a strange situation. Even after the strong criticism, the Agamemnon by Aeschylus is classified as an important text in the English language and various scholars have referred to it many times for various purposes.